This is a must see! Beautiful single story view home with a nice open floor plan and vaulted ceilings. Features 4 bedrooms and 2 baths, double pane Milgard windows through out. 4 Anderson sliding doors to the exterior. Updated kitchen with granite counter tops, center island, stainless appliances, and recessed lighting. Family room with direct access to the garage and a sliding door to the exterior side yard, dining area, living room with fireplace and slider to the back yard and large deck with amazing views. Master bedroom has and updated master bath and two closets, master retreat/office with wood floors and slider to the back yard. 2 car attached garage, A/C and furnace. 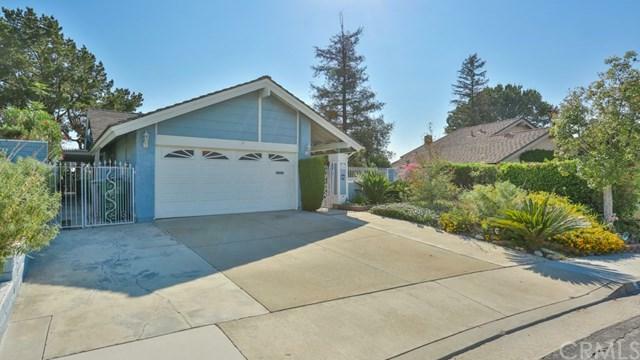 Walking distance to the Via Verde Country Club and Ladera Serra Park. Sold by Mark Fog of Re/Max Resources.